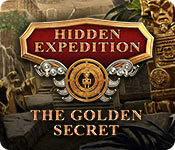 Hidden Expedition: The Golden Secret is rated 3.8 out of 5 by 12. Rated 5 out of 5 by techblogger911 from must play game I like the game in a way that you are portraying as an agent which I love to do even before recommended! Rated 4 out of 5 by Yanie1020 from Better Than Most Thought this was a good game. Kept me interested until the end. Some good puzzles that made me think. Because of the poor instructions for some of the puzzles I was forced to figure things out for myself. That's not all bad. It's one reason why I play these games; they're an exercise for my brain. If you're tired of monsters and witches, play this one. 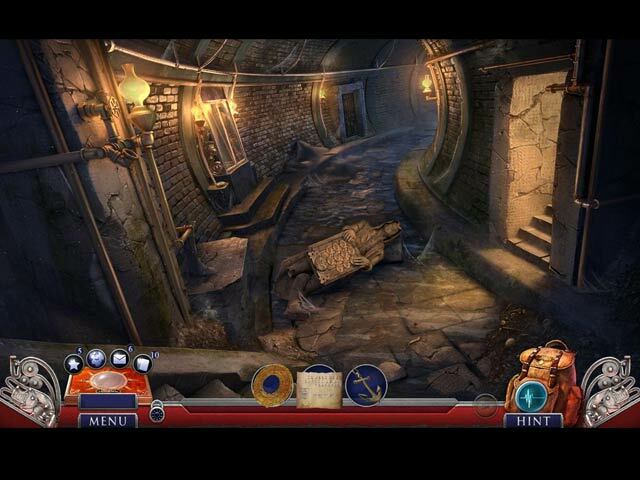 Rated 4 out of 5 by LikeAGoodStory from Not Really My Kind of Series It's been a while since I have played a Hidden Expedition game so I'm quite familiar with this developer but this game does not work for me overall. That said, there are some good moments. Perhaps this is just not my series. And that's why mine is a four star rating as opposed to three. I don't think it would be fair to give the game three stars because this series is not one of my favorites. I like a game that is driven by plot, even if the story line is a tried-and-true one, and this one isn't. I don't think that the puzzles were well placed but the HOPS I enjoyed very much as an addition to the story. You won't go wrong playing this game, especially with the fun filled facts that do add to the story, but try the demo first to make sure it's your kind of story. Rated 4 out of 5 by CourageAngel from Started So Well, Ended So Awkward. Good job, Agent. Despite the title of this review, I did enjoy the game. I do have to complain about a few things. The H.E.L.P. H.Q. guy calls and speaks around 2 times, and then each time after that it's just text and no sound. I found that strange, though when it started it was in an office and trying to avoid detection/capture, so... yeah. Then there's a potential typo when they mention that the King of Spain was furious at the actions taken by the English. It stated that he was "outrageous", but shouldn't that be "outraged"? Plus, add in other little details, like our "helper" this game... I miss Sam. Though he left a note and leftover Chinese food in the trunk of our car, so it's like he never left. 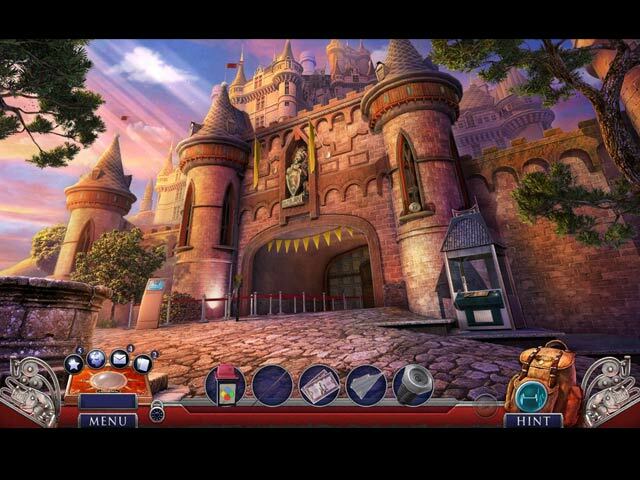 The game sends you on a chase to locate the stolen artifact, battle against a rogue agent, and more. You discover more about H.E.L.P. and it's past/origins. You uncover and later discover the legend. Honestly, I enjoyed playing the game. This is one of my favorite series, though this game isn't in my Top 5 for it. It was still fun to play, so play it for yourself and see what you think. Rated 4 out of 5 by PATinPNS from Another Hidden Expedition Hit This is posted after playing the entire game. I just love this series and waited, what seemed forever, for the SE game to come out. I wasn't disappointed. It was fun from the beginning to the end. Graphics were very well done. Colors realistic and really pleasant on the eyes. Sound was really good especially the voice overs. I was a bit surprised that the messages from HELP HQ that comes on the communication device were just texts instead of voice, but I suppose that is the modern means of communication, at least that is what my granddaughter tells me. The music went along with the action and the effects were simply awesome. So far as the hidden objects, they were well done. Not a walk in the park by any means. Some were right down hard, but doable. They were varied so that kept my attention. Now, those mini games. They were a different story. I don't like them to begin with, but to me these were extremely hard or time consuming. I did a couple of them, but my patience level just wouldn't let me work them all out. I do enjoy the fact cards that come from this game. It's amazing what one can learn from playing a game. The map was a great help. It did show where there were things to do and would transport there. Others have gone into the story in depth so there is not reason for me to just repeat that. I'll just say it was a well written and interesting story. Unfortunately, I wasn't able to complete the game in one sitting as I usually do and I can't wait to play it again all the way through. When I went back to finish the game, I had forgotten some of the details and it took me a little while to get caught up. This is a great game. Give the demo a try and I think you'll agree this game is for you too. Rated 4 out of 5 by skullfun from HIDDEN EXPEDITION 14 MAY SPARK NEW INTEREST FOR FANS OF THE SERIES! I completed this outstanding adventure and I am proud to once again be a recruit of Hidden Expedition League of Preservation (H.E.L.P) where as before I wasn't so thrilled because I haven't enjoyed this series since Hidden Expedition Dawn of Prosperity (Editors Choice). Eipix has raised the bar for "The Golden Secret" which may satisfy the expectations for some fans of the series. Since this is the 16th edition to the series some may be burned out while others may find that this edition will once again spark enthusiasm for the series; you just never know until reviewers give a rating after completing the entire game beyond the demo. This is one of the best Hidden Expedition editions offered in the series to date and it is a heart-pounding chapter in this beloved series. H.E.L.P. HQ interrupts your ski vacation with an important request: travel to Geneva to purchase an ancient artifact called the "Golden Wheel" that could very well hold the secrets to H.E.L.P. 's long history. But it won't be easy. You'll have to be the winning bidder in a high-stakes auction. Fortunately, H.E.L.P. is footing the bill as you travel to incredible destinations in Switzerland, Germany, and El Dorado South America. The storyline is fantastic, full of surprises and well written by the developers. So many questions from previous editions are answered in this game. The only question left...Can you unlock the secrets of the mysterious Golden Wheel, or will H.E.L.P. 's origins be lost to time forever? You must play "The Golden Wheel" in order to reveal the unknown. I literally could not stop playing until the conclusion of this thrilling and engaging mission. This edition has a runtime at approximately 4 or 5 hours, with another hour for the bonus adventure. The CE bling is typically the same as in most CE games with some variation, so to include that in this review would be reductive. I do hope this edition will generate a renewed interest in this ongoing saga and that casual gamers who love adventures will enjoy playing this installment as much as I did. Cheers! Rated 3 out of 5 by bessiegirl from started out well The demo started out well, but after the purchase the game got gradually more awkward...I guess that is the best word. Puzzles were either tedious, not well explained or difficult...I skipped them all, but then I'm not a puzzle lover. HOS were kind of the same way...needed the hint sometimes to get started. Storyline was same-o same-o and actually kind of got lost by the end of the game. Transporter map was good, but the game got to where it was jumping all over the place...get an item here...go there, etc. I kind of got tired of the game and just started using the hint to hurry the game along. I got it with a coupon, so no money lost, but I don't think I would recommend spending the full fee on it. Rated 3 out of 5 by pennmom36 from WHY IS THIS ARTIFACT SUCH A SECRET? Once again, Eipix puts all the good stuff inside the demo, to get you to buy the game. Once you buy it, you find out that the rest of the game flatlines after the demo, and all you're left with is a mediocre game, neither good nor bad, here nor there, it just is. The good news is that there are 5 chapters (+ Bonus Chapter in the CE version) so at least it gives you a lot of game for your buck. I suppose you could look at it as a worthy purchase as a CE, because at least you get collectible Fact Cards, Souvenir collectibles, HOP Morphs and the staple Hidden Signs to find in each scene. Here's a recap of my review to help you decide which version, if either is right for you: Your mission Agent, should you choose to except it, involves buying an artifact at the Geneva Auction House. The artifact, known as the Golden Wheel, contains vital information pertaining to when H.E.L.P was founded. This should be an open and shut case, and you should be able to return to return to the slopes, and enjoy the remainder of your vacation, quickly......yeah, right! Since The Golden Secret is on the topic of H.E.L.P's origins I thought I'd add a little of my own research that I included on one of my earlier HE reviews. I researched some fun facts, because I wanted to find out what H.E.L.P stood for, the P was stumping me. It turns out that this league has had a few name changes over the years, that I didn't even realize! In Hidden Expedition: Titanic, the league went by the name of H.E.A.L, which was the Hidden Expedition Adventure League. In Hidden Expedition: Everest, the league was simply the Hidden Expedition Club, and in Hidden Expedition: Devil's Triangle, it was referred to as H.E.A.T which stood for Hidden Expedition Adventure Team. The newer games have transitioned into the name H.E.L.P which stands for Hidden Expedition League of Preservation. Pretty cool useless information right? The features are everything I expected, but it's because Eipix never "thinks outside the box" is it because of laziness, or because they are on the top of the HOPA pile and they don't think they need to? I would really love to see the famous H.E.L.P box upgraded to reflect technology of the first century of the 3rd millennium, the century of the Anno Domini era, better know as the 21st century! It's the equivalence of carrying around a large boom box instead of a cell phone or mp3 device! The "artifact" in question has more technology than my help box, and to make matters worse, the surveillance video was recorded on a VHS tape! (are those still available?) SPOILER ALERT: Funny Logic Fails (or things that just don't make sense in this game) *why did I help myself to the receptionist's printer ink cartridge? Those are expensive, couldn't I ask first? *after the robbery, my partner says "I'll make sure the police don't get involved" why, am I doing something illegal? *Sam has set me up with a rental car, but when I open the trunk, I discover a whole slew of miscellaneous items, including, old shoes, baseballs, and leftover chinese food? *the rent-a-cop asks me to stop the bleeding (don't worry there's no blood) before he can access the before mentioned VHS tape, yet the second I bandage him (which btw, that loose safety pinned cloth seems to work wonders) he immediately hands me the tape? *Thank goodness the perp took off his mask and looked straight into the camera don't they all? *why does H.E.L.P have so many employees going rogue, don't they do backgrounds checks, they are a spy organization after all? * why do I try to disguise my appearance, then pick up a large fish net to carry, won't that draw unwanted attention? 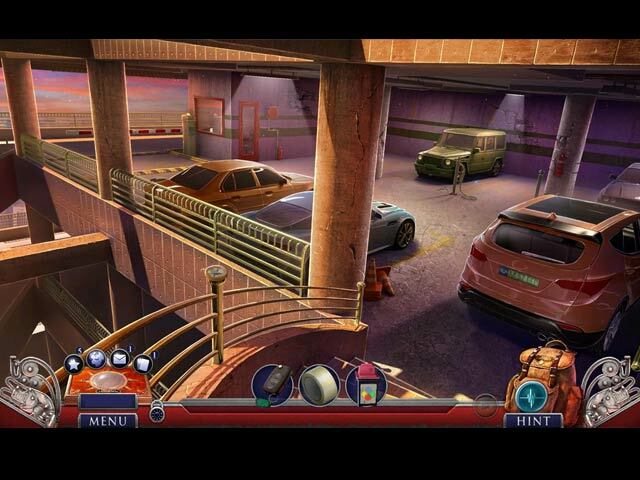 END SPOILER ALERT The Hidden Object Scenes are varied, and they have done a nice job of incorporating the HOP's relevant to the story, such as searching for files in a filing cabinet. There are List finds, Keywords in Sentence finds, Multiple finds, and the typical HE, find items that fit the descriptions of two pictures added together as combo items, such as a quill & ink equals a pen. There are also a few zoom zone HOP's where you are tasked with finding a handful of items within a small zoomed in window. Most of the main HOP's have a Morphing Object, that is indicated with an icon on the right of the inventory bar, within the Collector's Edition version. The Mini Games are not bad, and range from easy to medium difficulty, without too much frustration. Below are brief descriptions of some of the games you'll encounter during the demo: 1) Select 3 different numbers whose sum equals the number the auctioneer calls out. This is required a total of 4 times. 2) Drag the signs (<,>, =) to the correct boxes to compare facial features between 2 photographs. 3) Drag all directional fragments to form a path for the claw to take. 4) Rearrange the tiles to form multiple patterns on a 3 tiered corner puzzle. HIDDEN EXPEDITION GAMES AVAILABLE Title***Collector's Edition Release Date***Average Rating 1-Titanic (Standard Edition only) (July 22-2006) 3.6 2-Everest (Standard Edition only) (June 1-2007) 3.3 3-Amazon (Standard Edition only) (June 20-2008) 3.7 4-Devil's Triangle (Standard Edition only)(October 24-2009) 3.6 5-The Uncharted Islands (August 14-2011) 3.2 6-Smithsonian Hope Diamond (December 20-2013) n/a 7-The Crown of Solomon (July 3-2014) 4.1 8-Smithsonian Castle (December 24-2014) n/a 9-Dawn of Prosperity (August 27-2015) 3.7 10-The Fountain of Youth (January 7-2016) 4.3 11-Midgard's End (June 2-2016) 4.1 12-The Eternal Emperor (September 1-2016) 3.5 13-The Lost Paradise (December 22-2016) 3.7 14-The Pearl of Discord (April 8-2017) 3.8 15-The Curse of Mithridates (October 28-2017) 3.9 16-The Golden Secret (February 10-2018) 3.7 BY: Eipix Entertainment EIPIX ENTERTAINMENT GAMES: Hidden Expedition, Danse Macabre, Saga of the Nine Worlds, Mystery Case Files, Dead Reckoning, Phantasmat, Vermillion Watch, Amaranthine Voyage, Dark Parables, Sea of Lies, Final Cut, Off The Record, Fearful Tales, Myths of the World, Free The Witch The Collector's Edition version has 8 Wallpapers, 8 Concept Art pictures, 9 Movie Videos, 9 Music Soundtracks, 14 re-playable Hidden Object Scenes, 12 Morphing Objects within the HOP's, a Souvenir Room with 25 Hidden Souvenir's to find, 17 re-playable Mini Game Puzzles, 13 Achievements to earn, 20 collectible Fact Cards, 36 Hidden Signs, a built in Strategy Guide, 5 Main Chapters and a Bonus Chapter.